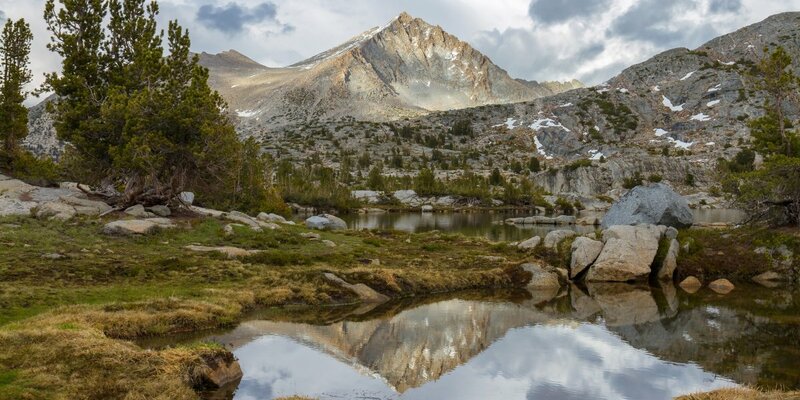 Considered one of the most scenic trails in the country, the John Muir Trail runs 211 miles north to south along the backbone of the High Sierra and is named for the nation's most influential naturalist and founder of the Sierra Club. 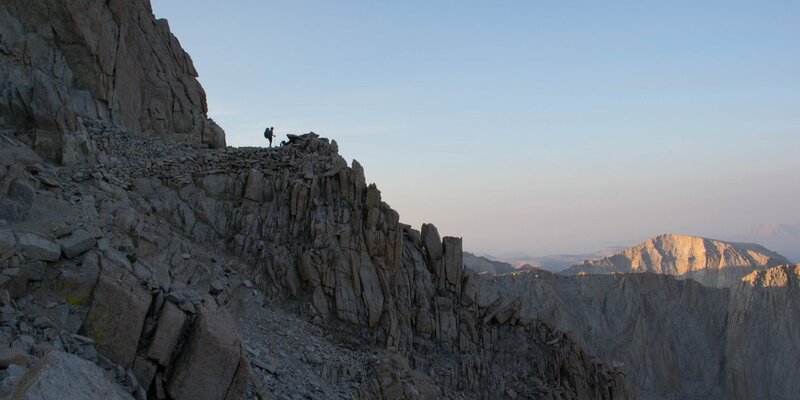 Beginning among the glaciated granite domes of Yosemite, the JMT traverses three national parks, 10 passes over 10,000 feet, and ends on the highest point in the contiguous United States, the 14,505-foot summit of Mount Whitney. 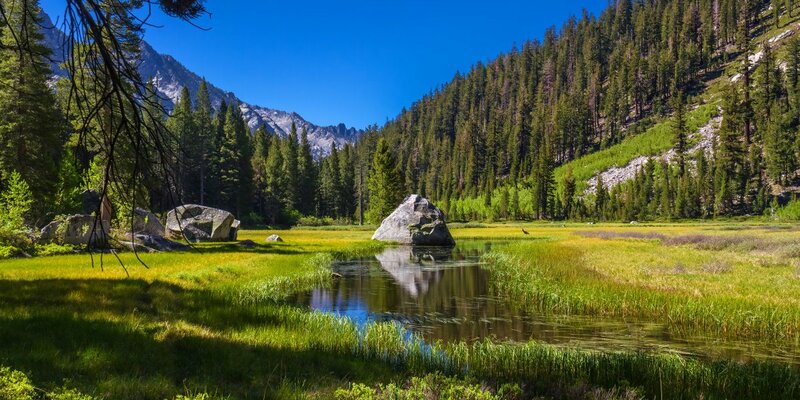 In conjunction with our series of JMT adventures, we've aggregated a collection of 15 views that may well inspire you to add this iconic adventure to your bucket list. They sure have for us. Enjoy the scenery, and happy trails! 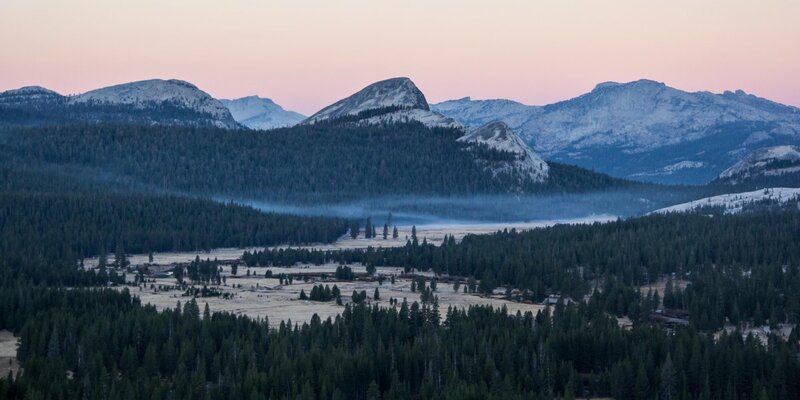 Dawn view of Tuolumne Meadows from Lembert Dome, Yosemite National Park. Photo by Aron Bosworth. Seven Gables Peak as seen from Marie Lake. Photo by Rini Sugianto. 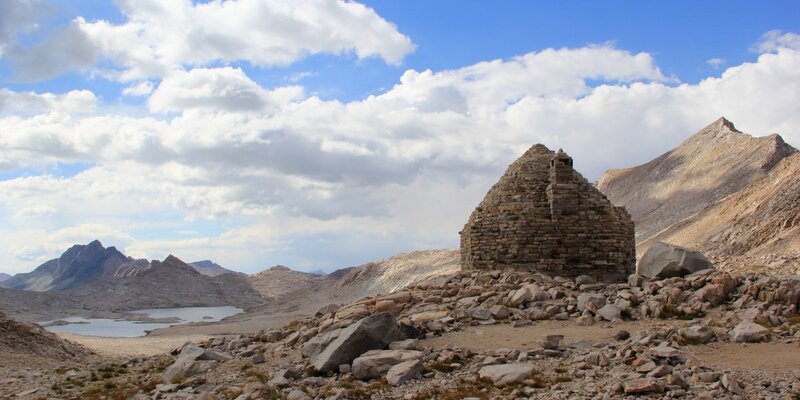 Muir Hut sits on top of Muir Pass (11,955 ft) in Evolution Basin, Kings Canyon National Park. Photo by Aron Bosworth. Grouse Meadows in Le Conte Canyon, Kings Canyon National Park. Photo by Rini Sugianto. A solitary morning moment near Trail Crest in Sequoia National Park, near the summit of Mount Whitney. Photo by Aron Bosworth.